One evening Joe, myself and Paul from the Dice office visited the Mead Hall, Sjätte Tunnan, in the Old City district. This subterranean hall had a music stage, low ceilings, wooden benches and a menu that included “Beaver Casserole”. I didn’t have the beaver but I did have the rather lovely rack of lamb. One of the wait staff was dressed in a kilt which did surprise me as he wasn’t even slightly Scottish. They also had 5 different types of mead on sale. And they were all excellent. No-where near as sweet or sickly as mead that you get in the USA. A lot smoother. Most of them were about 16% ABV so after trying the 5 varieties that they had on offer, well lets just say it was a fun night ! 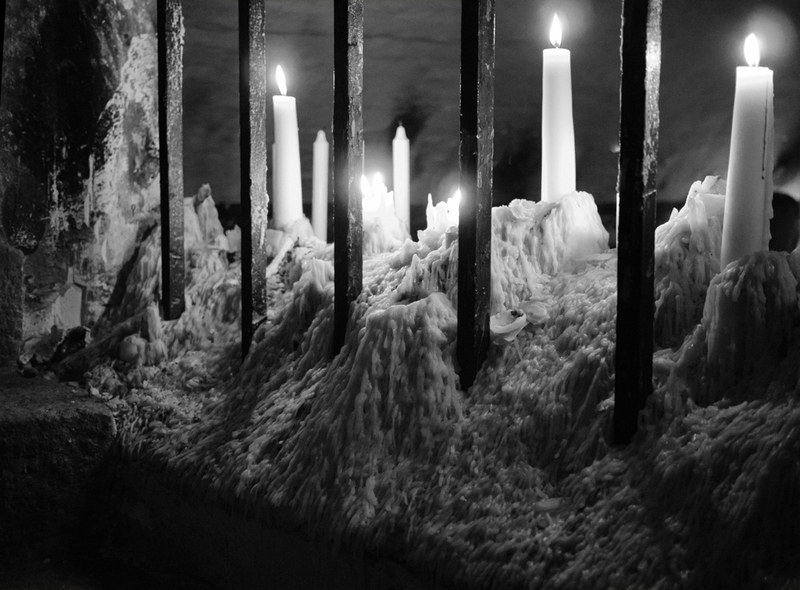 This picture was taken in the entrance-way were they had what seemed to be a hundred years of candle wax all piled on top of itself. A very cool look. This was one of those times I was glad that the GH2 with the 20mm lens on it was small enough to stick in my pocket and not have to worry about hefting about, like the D700.